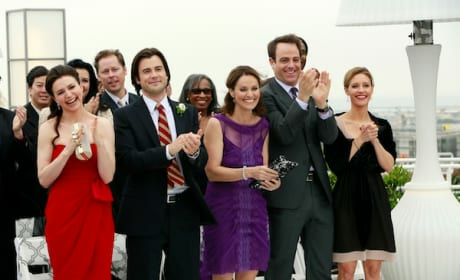 These Private Practice characters have a reason to stand and cheer. Addison is a married woman! Violet shares a laugh here with Sheldon. It's a scene from "Good Grief." Violet Turner is a polarizing figure on Private Practice. She smiles here on the Season 6 premiere. How should Violet and Pete proceed? They discuss their personal life in this Private Practice scene. Coop and Violet share a laugh in this scene from Private Practice. It's courtesy of the episode "The Time Has Come." Stephen Amell debuts here on Private Practice. He plays a paramedic who would love to take out Violet. Addison and Violet take a break from their messy lives here and chat. It's a scene from the episode "Deal with It." Pete and Violet are a great couple. She was really here for him in this episode. 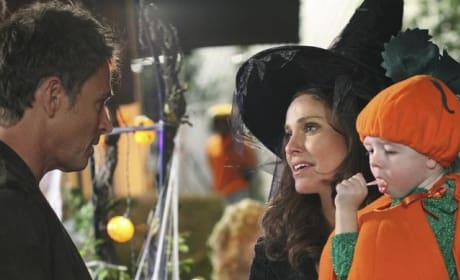 Pete, Violet and Lucas go trick or treating and it's a harrowing experience. For Pete. He finally opens up about his family. Will she adopt Betsey? It's a huge decision, and not one she takes lightly, but that's the direction she's leaning. Addison. Violet. Naomi. Charlotte. Amelia. Which will be struck by tragedy. Come back, Violet! Despite this scene, courtesy of the fourth season premiere, she does actually walk down the aisle with Pete. You know what? It's just that Maya likes Sam better, you're mad at me for bringing you here, and this boy is baking cakes at me!